Our range of products include self aligning pad male, adjustable self aligning pad and female thread self aligning pad. 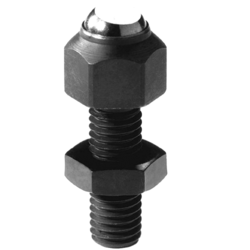 With the endorsement of our adept professionals, we are successful suppliers and manufacturers of Self Aligning Pad-Male Thread that is useful for holding components firmly on machines. Our offered product is manufactured by our skilled professionals with optimum quality material & contemporary techniques. This product is useful for clamping the job from top or bottom. Furthermore, this product is offered in various specifications as per the needs of customers. 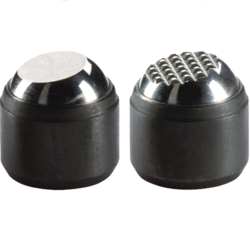 These pads are useful for holding components firmly on machines, While eliminating chances of vibration/chatter which may be induced due to insufficient clamping forces exerted due to point contact. We hold immense expertise in manufacturing and supplying a broad range of Adjustable Self Aligning Pad. Our offered product can be adjusted to variations in different height. 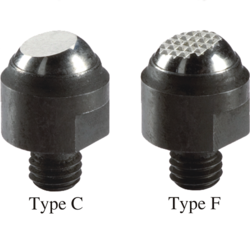 This product is manufactured by quality assured material modern techniques in compliance with set norms of the industry. Our patrons can purchase this product in a bulk quantity within a given time frame. These self-aligning pads serve as stops, supports thrust elements in Jigs Fixtures. They can also be fitted to existing clamping elements. These pads are useful for holding components firmly on machines While eliminating chances of vibration/chatter which may be induced due to insufficient clamping forces exerted due to point contact. Can be adjusted to variations in different heights. Aiming to satisfy our clients optimally, we provide our clients with a quality approved array of Female Thread Self Aligning Pad that is useful for clamping the job from top or bottom. These products are well tested on numerous quality parameters for make certain its flawlessness. Our products are manufactured with the finest quality components sophisticated techniques in line with the market standards by our skilled professionals. Customers can avail these products from us at competitive rates in a promised time frame.